Our friends at Ibuildings invited us for their annual pre-DPC meeting. On June 19 you can see the try-outs of some talks given at the Dutch PHP Conference 2014. We had a great summer break, but now it's time to get things moving again. Come and join us for our September meetup at Inventis' new offices. Our annual conference is over and we'd like to keep the momentum going by organizing our first meetup in 2015. For the first meetup we'll talk a bit ideas for the following meetups and Daniel Sloof will do a presentation about Aop in Magento (https://github.com/danslo/Danslo_Aop). This month's talk is a keynote-in-the-making, "Diversity matters". Wouter and Juliette are running this project to highlight diversity in the IT community and to encourage more diversity in this homogeneous bastion. Let's start modelling your software with Event Sourcing! De negende editie van PHP-WVL gaat door bij Studio Emma. Zij zorgen ervoor dat we het eerste item van onze "2015 verlang lijst" kunnen afvinken: een internationale spreker ontvangen. May is the month where, as the dutch say it, "Every bird lays and egg". So we will try to hatch in you the desire to write better PHP code. Our next meetup will take in the Nucleus Office in Antwerp. There will be drinks, snacks (sponsored by Nucleus!) and stickers! This month's meetup will be having a social and a lightning talk. Bring your colleagues and friends to come and meet other developers. Get to know some of the finest in and around Rotterdam! Ever wondered what 1K elePHPants looks like? Well you can now find out, and help us while you are at it. Join us to observe human automation as we build a factory floor plan and get all elePHPants out the door and to their new owners. Summer is arriving in Belgium and with it a new Symfony meetup. We're very happy to announce that Stardekk is hosting our June edition in the Jan Breydelstadion in Bruges. Summer meetup - Jump on the Command Bus! Experiment with the Command Bus in Laravel 5, by Jonathan. Naar "jaarlijkse" traditie houden we in tijdens de zomermaanden een "drinkup". We spreken af rond een uur of 8 in 't Bourgondisch Kruis (in Beveren). We're back for a 3th meetup. Again with a talk, discussions and some excellent beer and food at De Pelgrim. This month's speaker is Cees-Jan Kiewiet! Keep following us on twitter and/or here for future updates as we are still looking for a location. Meet up for a drink and some discussions on Magento and off-topic subjects. Working with Magento as a developer, merchant or in any other way? You're welcome to join the talk, trade tips and share experiences. This meetup Dennis de Greef will talk about Measuring Maintainability. Held at the offices of Finance Matters in Den Haag. Voor de elfde editie van PHP-WVL gaat door bij Roularta in Roeselare. Jullie worden voorzien van drankjes, en geen chipkes, sorry... Allen daarheen! After a nice summer break, we're back with a new interesting meetup! The nice people of Figure 8 will host this edition and treat us with some drinks and food. Summer is drawing to a close, join us this month to talk about State Machines! And we have another meetup! We are honored of having guest speaker Rafael Dohms with his talk 'Composer the right way'. Autumn came early this year, with thunder and lightning and the days already getting darker. However, DomCode strikes again this month with 4 (!) lightning talks in a row. Every speaker will shine their light on a different topic. Technische Zoekmachine Optimalisatie, waar moet je op letten? Summer is gone and the waters of autumn are here, so let's hunker down and talk about clean code. Voor de twaalfde editie van PHP-WVL zijn we te gast bij Stardekk in Brugge. Jullie worden voorzien van drankjes en misschien chipkes... Allen daarheen! After his Scala introduction talk last year, Erik Bakker (@eamelink) is back with a more in depth talk: . If you're not in to Scala or functional programming yet, come over, meet folks who are and learn! Another round of Magento, discussions, networking and socializing. With Magento 2 just around the corner. (General release said to take place end this year) let's talk about getting started with this new Magento version. Op 28 oktober zijn we te gast bij Inventis voor onze eerste meetup buiten Hasselt. Er is plaats voor 30 personen dus schrijf je op tijd in! Note: You do *not* need a conference ticket to attend this event, it's free for everyone! DomCode 2015 Annual Conference - SOLD OUT! If you like our meetups you'll definitely like this years conference. It will feature some great (inter)national speakers on various web and programming related topics. Foggy November has rolled in, but worry not we will be shinning a bright light into Software Metrics to point your way. We might've had a big conference but programming is all about the little things. This month's topic is Code Calisthenics: a set of tiny exercises that help ensure the code you write today isn't the code you hate tomorrow. Op 25 november zijn we te gast bij Sparkcentral op de Corda Campus in Hasselt. Voor de dertiende editie van PHP-WVL zijn we te gast bij Stack & Heap in Kortrijk. Jullie worden voorzien van drankjes en misschien de rest van de chipkes van de vorige meetup... Allen daarheen! The SUGB has been very quiet this past few months, mostly because your devoted servants where quite busy on their projects (sorry for that). This month Joshua Thijssen will explain to you what happens in the very first seconds of establishing a Secure HTTP connection. Explaining about certificates, what they do and what they don't do. Have a drink, a snack and a great presentation! New Year's Drinks with SweetLakePHP! New Year's drinks & snacks with members from both 010PHP and SweetlakePHP, in a rather Dutch setting: a pancake house! Let's ring in the new year together! After a very nice series of meetups to close 2015 sponsored by Inventis and Sparkcentral, we're already planning the meetup for January 2016 and we'd like it to be just as great! Time to dive into Magento 2? Join us for the MUG Magento 2 Hackathon. With help & a presentation from Anton Kril we'll work on opensource Magento 2 modules. “Crafting beautiful software” and “Serverless architecture". We would like to welcome you to another BredaPHP meetup! Be sure to RVSP. De vijftiende editie van PHP-WVL gaat door bij Studio Emma. Dit is een speciale editie die we de avond voor de PHPBNL conference laten doorgaan. Our first speaker of the new year is Joshua Thijssen, who will be talking about German tanks, birthdays and the speed of light. Wait, what?? We're also being welcomed by a new sponsor GamePoint BV in Scheveningen! February is here and its short, so let's make it count. This month we are very happy to finally say "Hello!" to the new Amsterdam Team of Github! And we will be speaking about ElasticSearch! March will bring you, yet again, two speakers at 010PHP. Have a drink, a slice of pizza and ...hack away! De 3e meetup van 2016 (zeventiende editie van PHP-WVL) gaat door bij Guideline in Brugge (Sint-Michiels) die ons voorziet van een hapje en een drankje. April is here! Spring, sun and warmth... or at least one of those things has arrived, so instead of just being grumpy this month we will talk about GrumPHP. This month's meetup will be hosted by Sparkcentral, at Corda Campus in Hasselt. The event will include a talk from Jan Fabry, another one of our own! "Docker in productie: het nieuwe docker platform bij Bax-shop"
For this month's meetup we've been generously invited for the first time to Yappa's offices in Alken - where Freek Van der Herten, coming all the way from Antwerp, will talk about "Backing up with Laravel". Its May! May the sunshine and warmth please come back to this town. But meanwhile, let's talk about the state of things. Join us in our bi-monthly meetup. Learn, meet, share and teach. This meetup we have a talk about the PHP stack at Telfort and Gediminas Šedbaras will tell us more about Behaviour Driven development. #1: A bird's eye view on API development - the live action version! June is here and this means AmsterdamPHP is 4 years old! Join us this month to celebrate and talk JWT. So we didn't have a fixed date yet, or a location but when Ben Marks tells us he's coming to town we can't pass over the chance to set up a meetup! De sea is misschien iets verder weg dan normaal tijdens ons uitstapje naar Bergen op Zoom, maar er is reden genoeg om af te reizen naar het verre oosten! This meetup is a special edition, in this meetup, we don't have a speaker but its more like a Workshop! 18:30 - 19:25: Ontvangst met Pizza!! This month Joshua Thijssen is taking back the stage at 010PHP with his talk on Compilers, Interpreters and JIT. This time we will be at DevMob's headquarters. This month we will be hosted by VicThorious, a promising startup in Hasselt (Corda Campus) in the cloud hosting & business intelligence sector. Join us in our bi-monthly meetup. Learn, meet, share and teach. We're delighted to announce our speakers: Matthias Noback and Freek van der Herten. 19:30 - 20:30: Web Application Security door Boy Baukema. This month we will be heading back to Coolblue's headquarters as they have invited us again. This month we will be hosted by Kommaboard. They say lightning never strikes the same place twice. We disagree, because it's time for another edition of DomCode lightning talks! This month we've got three electrifying talks about Docker, Event Storming and Accessibility. Meetup #21 gaat door in Kortrijk, meer bepaald in de kantoren van Indie Group. Zij zijn zo vriendelijk om behalve een locatie ook drinks & bites te voorzien. This month we are going to get some good practices our way. Rafael Dohms will be presenting his updated "Composer the Right Way" talk at Zicht Online. For the last month of 2016 we will bring you Eva Lok and Maikel Hofman. They will be presenting their talk "Microservices in Practice". Meetup #23 gaat door bij TUI in Oostende. Een goed begin (van het nieuwe jaar) is het halve werk, daarom willen we je graag uitnodigen voor een ICT-event in Nijmegen waar NijmegenPHP bij betrokken is. Are you ready to train your brain? Cause we are! This month Smartschool (@smartschool) has offered to host us for our first meetup of the year and our 3-year anniversary! Ever having to put your website offline due to changing your database column? What kind of approach do you pick? Welcome to the first Symfony Coding Party! What is it? It is a Coding Party! For whom is it? For any php coder, from symfony newbies to symfony experts. Join us in our bi-monthly meetup. Learn, meet, share and teach. This meetup Joshua Thijssen will tell us all about theorems and paradoxes. This month's meetup features a special guest, all the way from Germany: Andreas Heigl. His talk will be about the ten things that makes you get better at being awesome, true story! Voor meetup #25 zijn we opnieuw welkom bij onze vrienden van Studio Emma. Ze voorzien ons ook van de nodige hapjes en drankjes. This month's meetup is sponsored by Coosto! For this month's meetup we're lucky to have Hannes Van De Vreken (@hannesvdvreken) return for a very useful topic for all of us: "Code review beyond code style". ## Location: We will be meeting in the Azzar Room at ICAB. For our May edition, Level27 will generously open their offices to our PHP community and prepare some nice food & drinks for us to enjoy. Meetup #26 brengt ons terug bij DX-Solutions in Harelbeke. Drankjes & chipkes worden voorzien! The last meetup of Spring, with both a returning location and a returning speaker! And another speaker! Monthly Meeting - June/2017: 5 year anniversary! To celebrate this amazing yet meaningless milestone of an arbitrary hardcoded number of years, we are having a bonanza! Meet up with your fellow PHP developers from the Nijmegen area and enjoy the amazing annual BBQ by RootNet! This year DPC and AmsterdamPHP will join force again to host another CodeNight! Naar jaarlijkse traditie houden we in tijdens de zomermaanden een "drinkup". We spreken af rond een uur of 8 in Delaney's Irish Pub in Brugge (overkant van stadhuis op de burg). Remember last year, when we had our awesome rooftop barbecue over at DPDK? Celebrating our 3rd anniversary, with some tasty hamburgers and good weather? Well... let's do that again! Have a drink, a slice of pizza and work on OS projects! 010PHP: Don't work for PHPCS, make PHPCS work for you! Do you work with PHPCS? No? Why not? Juliette Reinders Folmer will explain why you should, and how it would benefit you and your team. Meet up with your fellow (PHP) developers from the Nijmegen area and let's have a drink and listen to a great talk! Na een stille twee maanden en een leuke zomerdrink, zijn we weer klaar om er in te vliegen. Op dinsdag 22 augustus spreken we af in centrum Kortrijk. Tot dan! For September we're planning on doing another meetup with only lightning talks! Sylius 1.0.0 stable will be released on 13 september (international programmers day). We'll be having a party at the Intracto office. You are all welcome for drinks. There will be cake! Please join us to have a nice chat. Over 2,5 years ago, we started NijmegenPHP. We've had awesome speakers, crowded meetups and many memorable moments. Now it's time to look at the future of our meetup. You've been playing with Docker a while now. It's good, really. But there's just that one little issue. And that one. Oh, and that thing that's been on the backlog for 6 months. You'll get to that one day. Definitely. Probably. Maybe? Join us in our bi-monthly meetup. Learn, meet, share and teach. The doors are open from 19:15 and the evening will start at 19:30. Voor meetup #28 keren we terug naar onze vrienden bij Studio Emma. Zij voorzien ons van hapjes en drankjes! This month is a special one: not only is it October, we also do not have any speakers lined up to enlighten you with a well prepared chunk of wisdom. In oktober 2017 organiseren we de eerste editie van NMGN.tech, de nieuwe naam van onze bekende NijmegenPHP meetup. Dit staat ons toe om ons te richten op meer talen, meer technieken en nog meer kennisoverdracht. For our next weekend workshop, we're going to help you build the gift of gab. Public speaking is an amazing way to open up your career, meet awesome new people and attend great events. And the secret is: you can totally do it! The Serverless Platform. A powerful, ponderous platform. Developed by by elite programmers. Supported by MegaCorps. Assembled in...*record scratch*...100 lines of code?! Eeek, my tests are mutating. On November 9, it's that time again: meetup day! Except it's not, because in November, 010PHP will take a deep breath and hold it until December. We know, that's a long time! But only good can come of it. Trust us. We zitten ondertussen aan meetup numero 29 en voor deze editie zijn we te gast bij Webdoos. Na de succesvolle eerste editie gaan we natuurlijk direct door. Je kan je dus alvast aanmelden voor de meetup van november! 19.00u - Pizza wordt bezorgd! Winter is coming! Don't worry though, we'll be nice and cozy at True's HQ where Dennis will tell us a tale of 2 worlds. Let's share some drinks and finger food to start the new year. No formal talk, no slides! Just an opportunity to meet old and new friends and discuss our projects for 2018. As always, newcomers to the group are more than welcome! 19.00u - Voedsel wordt bezorgd! 19.30u - (Di|Con)vergent Mob Refactoring - Bring a laptop with you! Voor meetup #31 zijn we deze keer te gast bij B-Bright in Gits. Zij voorzien ons van een comfortabele 21°C, drankjes en wie weet zelfs chipkes! After a rocky start of the year, we are back on track with our monthly meetups. This month's edition will be hosted at WeWork by the kind folks from Honeypot. NMGN.tech Februari 2018 | Heeft u rechten op het internet? Heeft u rechten op het internet? Developers of all levels are welcome. Come and learn and make new connections. This months meetup will bring you a familiar face at 010PHP: Joshua Thijssen (https://www.twitter.com/jaytaph) will be presenting his new talk about Kubernetes. Always wondered how you could monitor your applications after they are deployed? Monitor this meetup! As always: free entrance and nice people to get in contact with! Magento is organising a global Contribution Day with locations all over the world like Madrid, Kiev, Krakow, Khmelnitsky, Buenos Aires and Nottingham. And Rotterdam will host its very own location! We've always been about a wide array of interests and this month's meetup is here to prove it. With four talks to watch (not to mention food and drink from our good friends Bol.com), there's something here for everyone! Hello again and welcome to our April Meetup! This time we have a international speaker lined up for you, all the way from Austria we present to you: Daniel Rotter. So for this months meetup we'll be taking a look into mobile development. Or how a "former" PHP developer switched to mobile. We beleven meetup #33 samen met jullie bij DX-Solutions in Harelbeke. Hapjes & drankjes zijn on-the-house. Email is the de-facto standard for communication with your customers or website visitors. Sharing is hard. Sharing memory is a nightmare. But fear not, through some machinations and clever captions, Laurens Duijvensteijn is here to introduce you to Software Transactional Memory, an awesome way to keep your state sorted. DeventerPHP - Are you out of memory, or have plenty to spare? Talk - Are you out of memory, or have plenty to spare? 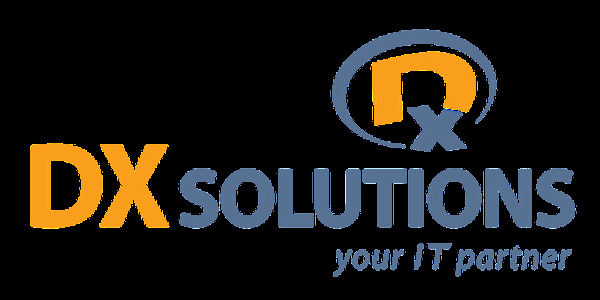 Voor meetup #34 zijn we terug te gast bij DX-Solutions. Deze keer in Brugge. Hapjes en drankjes worden, naar goede gewoonte, voorzien door DX! *Note* this will be the last Geeks, Drinks & Games night for the foreseeable future, so be sure to not miss it! We've all been there - The broken upgrade. The disasterous update. The eternal loading screen. And of course, the dreaded "it works on my machine." We are welcomed by Helloprint, which coincidentally is located at 42workspace! Helloprint has took the liberty to invite Guido Schmutz to come talk at our stage! Normally we have a awesome speaker, today we want you to bring your own and have a nice chat with any of the other vistitors. They say the path to...heck...is paved with good intentions. And that's all we want, to do a good job. But what happens when we do a little too much of a good job? Are you testing your code? Why do you test? Are you allowed to test? Why not? Is it working for you? After a sunny summer break we're glad to be back with not one, but two experienced speakers. Join us in september for something new! For the first time we will be hosting an Open Fishbowl discussion (more info: https://t.co/SOTj3eXjRl). This time the meetup is at Freshheads. Parking is free around the Wilhelminapark, unless the places reserved for COOP. Meetup #36 gaat door bij onze vrienden van Studio Emma in Kortrijk op dinsdagavond 16 oktober. Vergezel ons voor een avond vol testing games met drankjes en sieps! 20:45 - Social, drinks and post-talk pizza! After five years of awesome meetups and a lot of saying "yes, we want to do a workshop at some point", we're finally at a point at which we can announce the first 010PHP workshop. Yay! Voor meetup #37 hebben we nog eens een nieuwe locatie kunnen strikken: Digicreate in Waardamme! Behalve food for thought, voorzien we naar goeie gewoonte ook drankjes & broodjes. We're please to announce our December 12th meetup will take place, for the first time, in the Cegeka HQ in Hasselt (next to Kinepolis). A huge thanks to Lorenz Struyf, who reached out to us with the offer to host! It's the most wonderful time of the year! The busy holiday season is upon us, so we're celebrating a week earlier than our regular DomCode scheduling of last Tuesday of the month. Join us in raising a few glasses to round off the year of 2018! Location is the ezCompany office. Location is the Fresheads office. This February we're resuming our monthly meetups by visting the BeCode offices in Genk, at the brand-new T2 Campus. Thanks to Salim, Lesley and Alexandre for hosting us! Talk: You just became a team lead. What now? It's time to climb the career ladder. Unfortunately, the ladder doesn't seem up so much as...sideways? Maybe diagonal? A figure eight? Why would you even make that ladder? derde meetup van het nieuwe jaar!